If you’re seeking out a new look for your garden, or front yard, we can provide it. 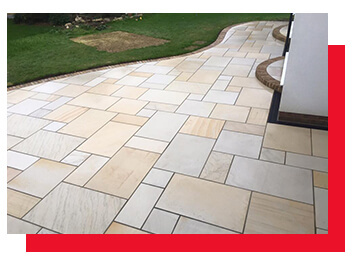 Our patio and decking service is perfect if you want to reinvent the exterior of your home. When you hire the services for paved patio and laying down decks, you only want the best. There are far too many businesses on the market that deliver a poor final product. At High Oaks, a quality finish is what we guarantee. 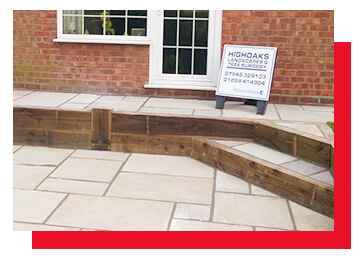 Using only the best materials our highly trained workers will lay down patio or decking designed to impress. We are also proud to mention that our materials are slip resistant. As a family business, we know how important it is to keep the little ones safe when they’re playing outside. But that’s not all because the patios we offer are also low maintenance. You won’t be bending over every year trying to remove stains or pulling out weeds. Our patios and decks will look like new for years to come without any work needed from you. Leave the job up to us, and you won’t be disappointed with the results. We will lay down the perfect place for your garden furniture and for you to enjoy long, summer evenings. Or, we can put down a path that leads straight to your front door with some gorgeous cobbled stone. The choice is entirely up to you. 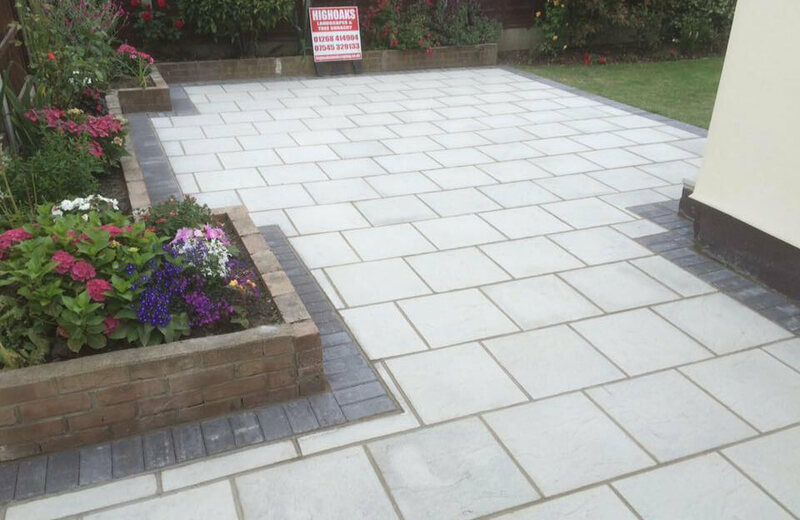 We’re happy to work on any patio or decking job that you want to be completed. Just check out some of the examples we have completed in the past to see what we can offer.